"It was an unforgetable e﻿xperience for my family ! 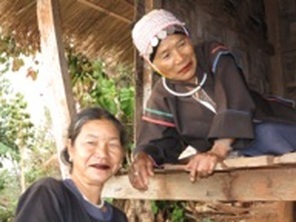 Live like real akha people with naturel and kindness. With basic condition but clean and safe, we enjoy every day to live simple life, participate with all activities: cut the field,have dance with the akha, sleep and eat together inside the hut, try their traditional costume....great fun !" It is between CHIANG MAI (ap. 2h) and CHIANG RAI (ap. 1h) in the T Wawee valley. and on the road to DOI CHANG (coffee plantation), in the green hills, 20 min away from MAE SUAI.